Welcome to our ultimate guide for collecting every Power Moon from the Cap Kingdom in Super Mario Odyssey! Below, you'll find maps detailing the exact location for all 31 of the Power Moons located in this Kingdom, as well as descriptions on how to get each and every one of them. 1. Frog-Jumping Above the Fog: After capturing a frog, jump directly upwards from the three '? Blocks' to reveal a hidden block - jumping from this new block will allow you to reach the Power Moon. 2. Frog-Jumping from the Top Deck: As a frog, travel to the tallest hat building in the central area (near the Crazy Cap store). Jump on to the top of the building and then jump again to get the Moon. 3. Cap Kingdom Timer Challenge 1: Throw Cappy at the scarecrow sitting by the bridge that takes you to Top-Hat Tower. Use rolls to manoeuvre across the bridge with enough speed to get the Moon at the end. 4. Good Evening, Captain Toad! : Captain Toad is sitting right at the top of Top-Hat Tower. Talk to him to collect his Power Moon. 5. Shopping in Bonneton: You can grab this Power Moon from the Gold Coin half of the Crazy Cap store for 100 coins. 6. Skimming the Poison Tide: After entering the red hat door on the far-side of Top-Hat Tower, capture a flying Goomba to collect all five Moon Shards inside. 7. 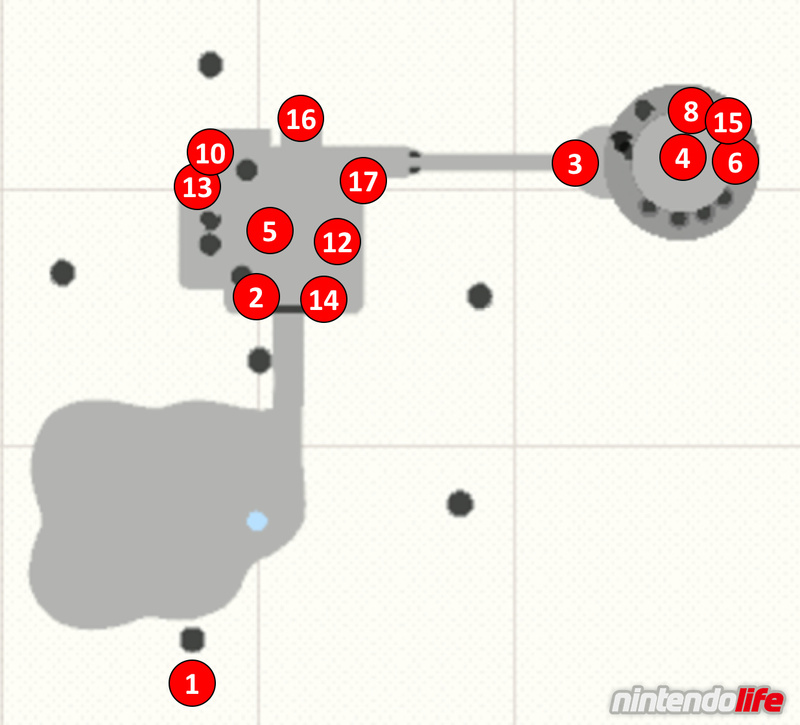 Slipping Through the Poison Tide (see location 6): In the same area as Power Moon number six, use a flying Goomba to fly to through a gap in the fence underneath the platform at the far end of the room. Jump from platform to platform in this hidden area until you reach the Power Moon. 8. Push-Block Peril: After entering the red hat door near the spiral path that takes you to the top of the tower, simply make your way through each of the platforming sections until you reach the end of the room. Use 'ZL' to jump from the power wire when you are directly above the Power Moon to grab it. 9. Hidden Among the Push-Blocks (see location 8): In the same room as Power Moon number eight, make your way through the course until you start to head back across the room from right to left. When you land on the safe, yellow platform halfway through this section, turn around and you'll see the Power Moon hidden inside one of the blue blocks you just jumped from. 10. Searching the Frog Pond: Enter the frog pond by going through the red hat door (number 10 on our map) and use a frog to collect all five Moon Shards inside to grab the Power Moon. 11. Secrets of the Frog Pond (see location 10): In the same room as Power Moon number 10, capture a frog and make your way over to corner of the room furthest from where you enter. Jump up onto the platform nearby and make your way over to the left until you reach two moving platforms with a tall, thin divider in the middle. Jump onto this divider and jump again to access a thin corridor with the Power Moon tucked away inside. 12. The Forgotten Treasure: To get this Power Moon, you'll need to speak to the resident sitting on top of a hat in the central area and then follow Cappy's clues. First, break the stack of three crates near the Crazy Cap store, then head to the narrow path behind the central area (blocked by a couple of crates), and then stand on the tallest hill which is located near the Odyssey. From there, walk towards the Moon in the sky until you reach some small steps that lead to the main bridge - feel the HD Rumble and then ground pound to the left of the steps to find the Power Moon. 13. Taxi Flying Through Bonneton: Capture the binoculars located in the northwest corner of the central area and look up into the sky. If you zoom in on the flying ships you'll see that one of them is actually a Metro Kingdom taxi - keep it in sight for a few seconds and the Power Moon will zoom towards you. 14. Bonneter Blockade: In the central area, a resident is blocking a Power Moon which is inside a hat building. Talking to him reveals that he is afraid of Paragoombas so, in a slightly cruel twist, you must capture a Paragoomba and return to scare him out of the way. 15. Cap Kingdom Regular Cup: On the brim of Top-Hat Tower, you'll find a Koopa standing next to a leaderboard. Accept his race challenge and win to score a Power Moon - rolling down hills and executing long jumps ('ZL' and 'B') are crucial here. 16. Peach in the Cap Kingdom: Head to location 16 on our map to find Princess Peach - after a small conversation, she'll reward you with a Power Moon. 17. Found with Cap Kingdom Art: Firstly, check out the 'Hint Art' on the wall just below the bridge that takes you to Top-Hat Tower. The picture is a representation of characters who are currently in the Moon Kingdom. If you fly to the Moon Kingdom and look behind the Odyssey, you'll see a bunch of characters standing in a row (just like the picture). Ground pound the area just in front of the second character along to unearth the Power Moon. 18. Next to Glasses Bridge: If you look underneath the west side of the bridge that takes you to the central area you'll see a hat building floating in the fog - the Power Moon is sitting right there. Either jump down to it, or use a Paragoomba to fly over. 19. Danger Sign: Capture a Paragoomba and fly out to the south of the Odyssey. Way out in to the fog, you'll see a sign with a skull on it and a Power Moon floating just above it that can be collected. 20. Under the Big One’s Brim: Head to the brim of Top-Hat Tower and move your camera around so that you can see the floor (with the scarecrow by the bridge) right down below. You'll notice a Power Moon floating just underneath the brim - jump off the tower to collect it. 21. 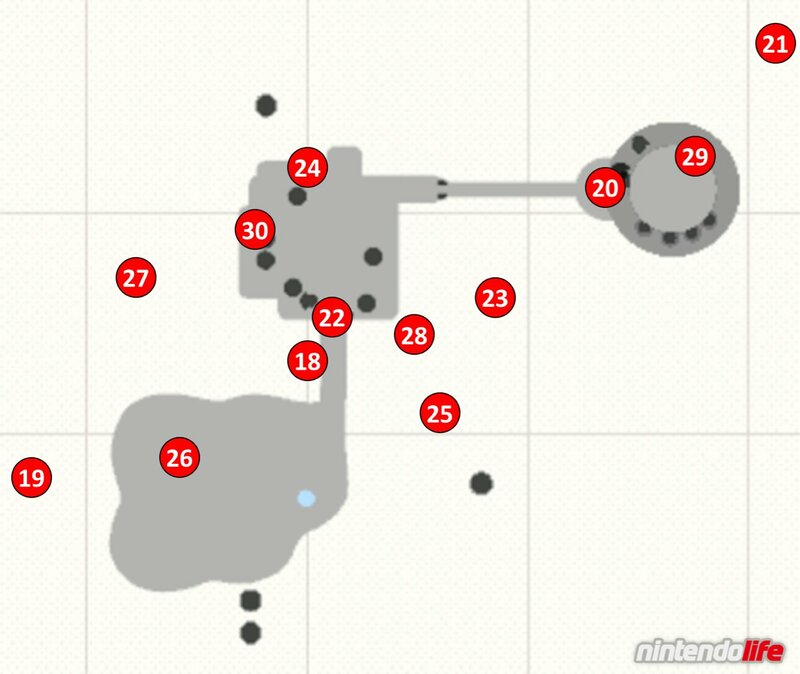 Fly to the Edge of the Fog: Capture a flying Goomba and travel all the way to point 21 on our map (on the opposite side of Top-Hat Tower). You'll spot a Power Moon waiting for you in the fog. 22. Spin the Hat, Get a Prize: Jump up onto the top of the archway that welcomes you to the central area of the Kingdom. Throw Cappy at the golden hat in the middle to receive a Power Moon. 23. Hidden in a Sunken Hat: Use a flying Goomba to fly to location 23 on our map - you should find a hat building in the fog with a golden stick on top. Land on the hat and use the 'Y' button to throw Cappy at the stick - a Power Moon will pop right out. 24. Fog-Shrouded Platform: Head to the northern edge of the central area and look down to find some extra little platforms. One spot of ground will be glowing - ground pound this area to receive the Power Moon. 25. Bird Traveling in the Fog: It may take some time, but you should notice a glowing bird flying around the Kingdom. Capture a Paragoomba to chase it - touching the bird will reward you with a Power Moon. The best advice here is to judge the bird's flight path and wait for it to reach you. 26. Caught Hopping Near the Ship! : Right near the Odyssey you should find a rabbit eagerly bouncing around. Chase the rabbit (using Cappy to slow it down if necessary) and make contact with it to get the Power Moon. 27. Taking Notes: In the Fog: On the west side of the map (location 27 on our map above) you should find a glowing treble clef on top of a hat building. Use a Paragoomba to fly over and touch it, then simply collect all of the music notes that appear to receive the Power Moon. 28. Cap Kingdom Time Challenge 2: Head to the southeast corner of the central area to find a scarecrow. Throw Cappy at it and jump over the platforms that appear to collect the key, making sure to get back to the scarecrow in time to grab the Power Moon that is unlocked. 29. Cap Kingdom Master Cup: Return to the Koopa with the leaderboard on the brim of Top-Hat Tower. You must win a second race which is a little harder than the first. Again, use a combination of rolls and long jumps to succeed or, alternatively, capture the flying Goomba on the bridge and fly over to the goal - avoiding several obstacles along the way. 30. Roll On and On: Head to location 30 on our map (in the central area of the Kingdom). Here you will find a small, grey chimney that takes you to a hidden area. Roll all the way to the end of this course to reach the Power Moon. 31. Precision Rolling (see location 30): In the same area as Power Moon number 30, make sure to stay to the left as you roll down the first section of the hill. The pathway is extremely narrow, but navigating it will allow you to make contact with this second Power Moon of the area. We hope that you have found this guide on collecting all Power Moons in Super Mario Odyssey's Cap Kingdom useful. Let us know if you've managed to grab them all with a comment below. This will be quite handy now that I am done with all the wedding shenanigans. I got the taxi one after getting the name from the Talkatoo (and after scratching my head for a good while), and I had the biggest smile afterwards. Dunno why, really; it just had that absurdist feel mixed with some sort of Peter Pan magic. This is a very nice point of reference to have! Well done. I'm having fun finding the power moons on my own, heck the cube tells you where each one of those is, but looking for the last few region specific coins I'm missing is driving me kinda nuts. I think I'm missing 2 or 3 in each region with only a few regions completed, it's kinda maddening. I'm sure I could find a guide somewhere but I'm trying to do it on my own. New Donk City seems HUGE when you are missing 2 coins. 741 moons in, only used a guide about 3/4 times. I just can't put this game down. 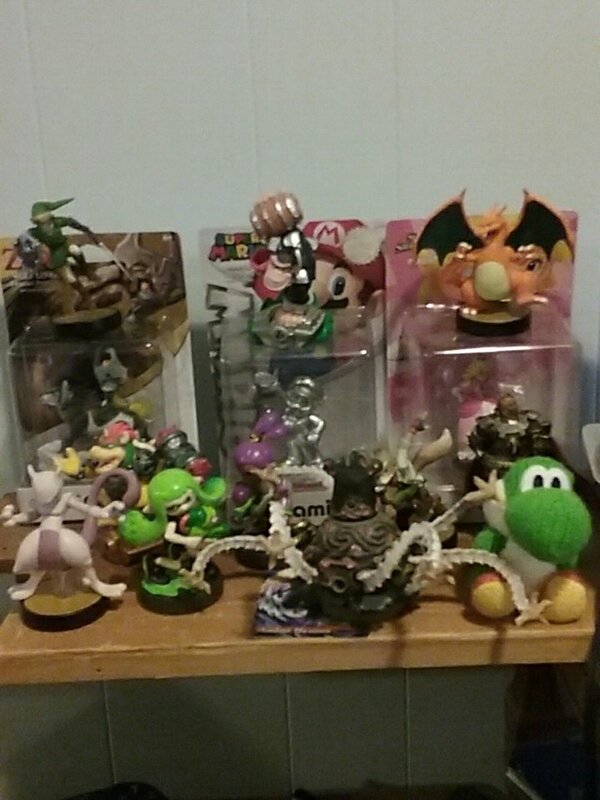 @rjejr Do you have a Bowser amiibo laying around? Any (except for the Skylanders one) can show you where regional coins are when scanned in. Pfffft get on my level Nintendolife. I'm already up to the Seaside Kingdom in terms of Completion. Guess which 1 I have? Nintnedo really does some weird stuff w/ it's amiibo. My silver Mario unlocked the gold clothes in the game. @rjejr Well, since it‘s out of its packaging, why not try it out? Only read online that it‘s not showing you coins like other Bowsers do. 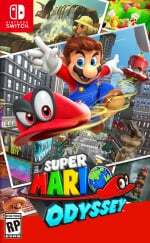 It is listed as a supported Amiibo on Nintendo‘s official site but then again, pretty much all amiibo are supported in Odyssey and it isn‘t listed what each of them do. WOW! I'm Mario 64 bouncing around the mushroom kingdom on a scooter after playing as Bowser and NES King Koopa saving Princess Peach...I never though life would have thrown this up. Who thought this game would be this good? WOW! I've been doing great collecting the moons on my own, but "Hidden Among the Push Blocks" was the one that I broke me down and brought me here.